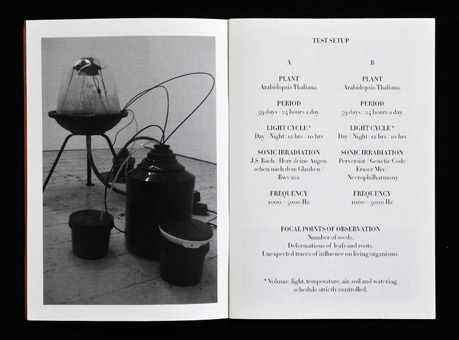 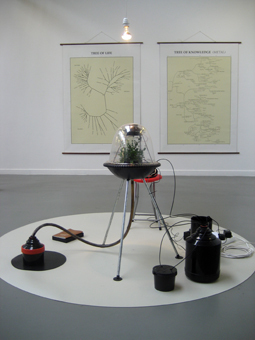 The work is a form of re-installation according to experiments conducted mainly in the 60ties and 70ties to examine the influence of music on the growth of plants. 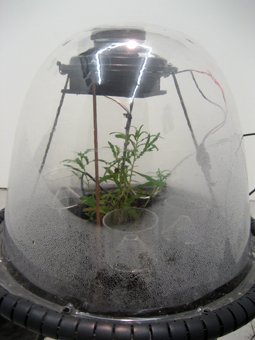 In an intricate test arrangement the experiment is started to raise an 'evil' and a 'good' plant only by sonic irrigation. 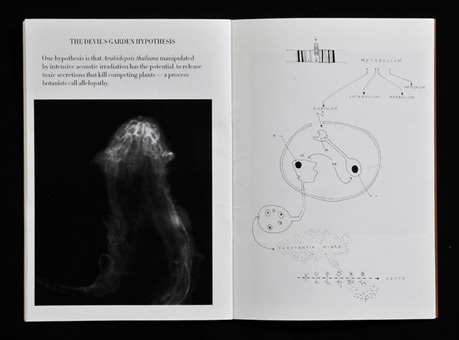 Two identical model organism (Arabidopsis thaliana) are confronted with a cantata by Johann Sebsatian Bach and a song by the death metal band the Perversists. 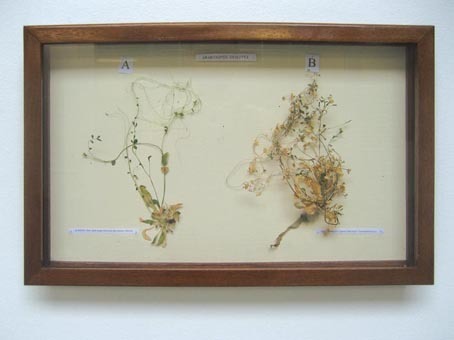 The mouse ear cress (Arabidopsis thaliana) is a small flowering plant that – due to fact that its genetic sequence is completely deciphered – is world widely used in life science. 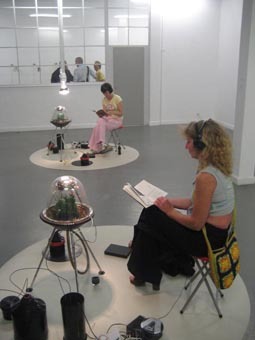 By listening to the sound piece the visitors become part of the experiment and part of complex relational system on the edge of art, life science and cultural studies. 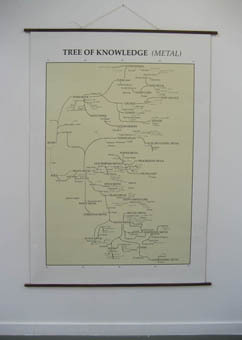 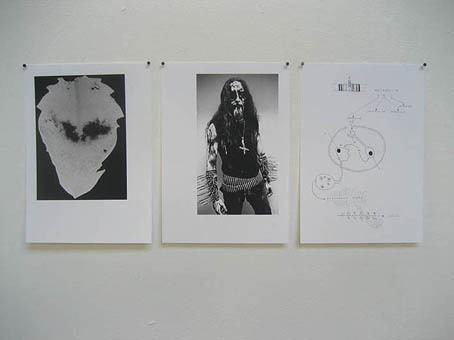 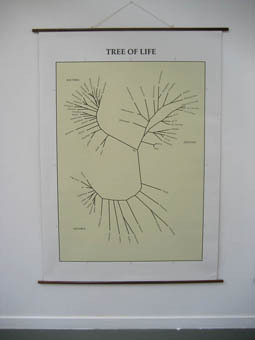 Large wall maps display cross-links between the evolution theories and the cultural development of heavy metal music. 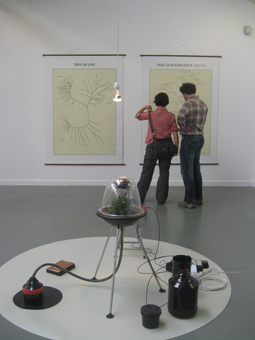 The visitors are invited to directly experience the experiment by entering the set up and listening to the acoustic process. 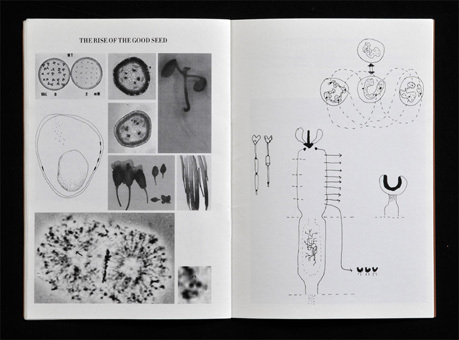 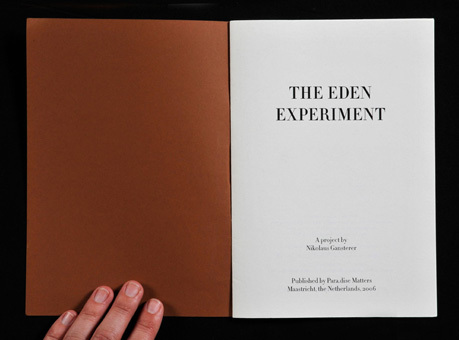 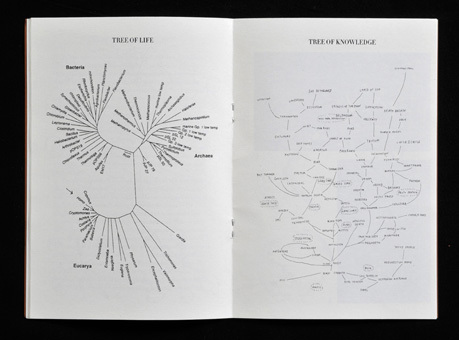 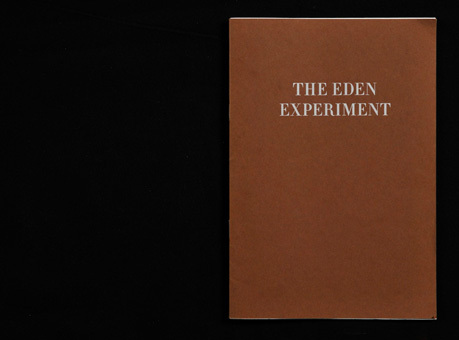 The 'Eden Experiment' confronts us with a dubious complex system of scientific theories about the influences of sound on living organism and ironically addresses issues of genetic manipulation and reproductive technologies by questioning the imaginary threshold between nature and culture, religion, art and civilization. 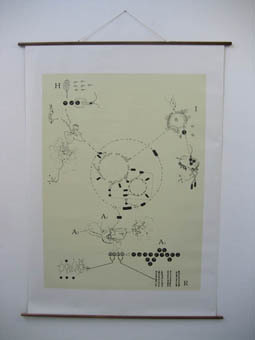 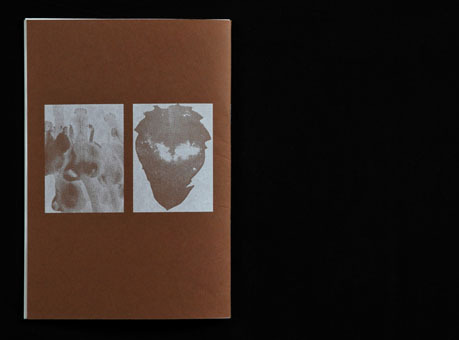 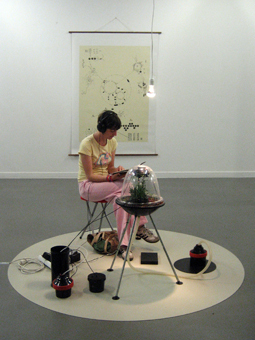 – "Utopien der Netzkunst", Ursula Maria Probst im Gespräch mit Judith Fegerl, der Kuratorin von „Utopia“, Kunstforum, Band 196, p. 394, 2009. 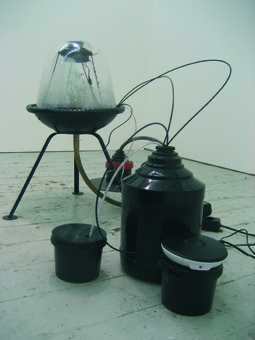 – "Sound Escapes", Frances Morgan, Frieze Magazine, Issue 126, October 2009.